In the circles that I move in, business lunches are not normally something to look forward to. These are not lavish affairs but are usually sandwiches filled with some kind of mayonnaisey gloop and crispy unidentifiable things. You don’t really know what you’re eating, it looks industrial and it never tastes very healthy. However, this was an exception. We had a working lunch in Granite Park, a restaurant in the centre of Aberdeen and it was definitely a good deal better than normal. We went for the fixed price 2-course menu. This offers a choice of 6 starters, mains and desserts for £15. All of the starters sounded good – I finally settled on the open tartlet of goat’s cheese with poached pear and candied walnuts. I’m not normally a great fan of deconstructed food but this really was more of a poached pear on a pastry base than a tart. Served with honey, it looked and tasted really good. Mains included the now-standard posh burger, fish and chips, mussels and seared beef. I really enjoy traditional fish and chips so I decided to go for this. 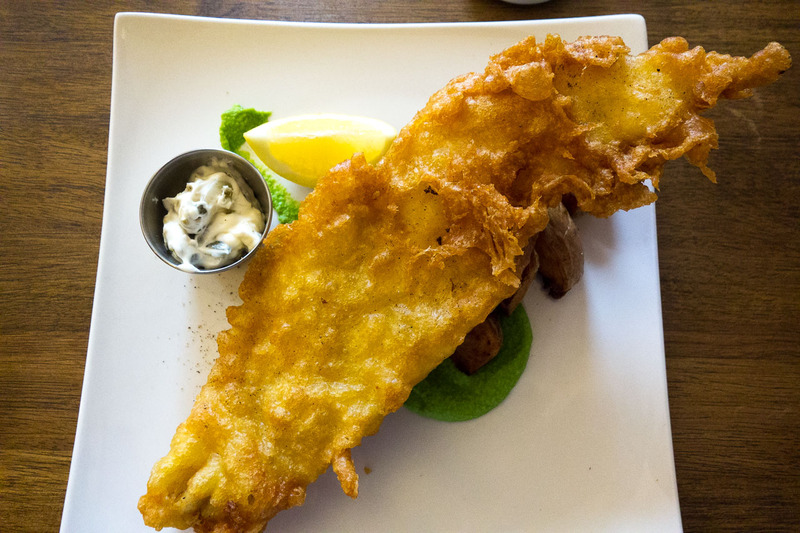 It was a large piece of fish served on a bed of chunky chips with some home-made tartare sauce. This is a standard and Granite Park did it well. 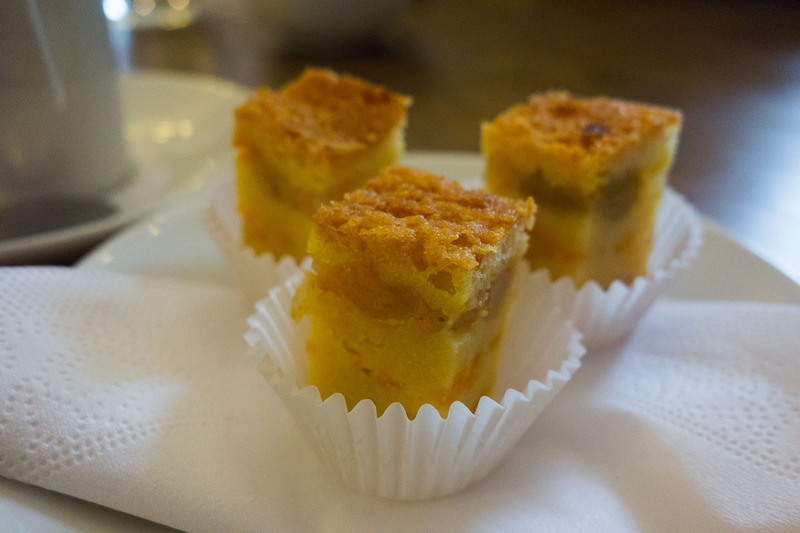 We didn’t have puds but had coffees and were served some tasty petits fours. This was a good lunchtime experience – good service, a pleasant setting and I didn’t even have any problems finding a parking space. We don’t eat out much in Aberdeen in the evening but I’d be happy to go back to Granite Park. We visited the Three Birds in Bruntsfield shortly after it opened in 2012 and, while some aspects were OK, overall I was disappointed (review here). I am not normally forgiving of sub-standard meals and if I get one, that’s it, I rarely go back. However, my daughters went there for a meal recently as it was one of the few places open on a Monday evening and they thoroughly enjoyed it so, we thought we would give it another try. Being a canny Scot, rather than risk a more expensive evening meal we went for one of their fixed price lunches on Easter Monday. We imagined it would be quiet but when we went in, we found out they were fully booked. This was a good sign. Luckily we were early and we promised to eat fast so managed to get a table that was booked for 90 minutes later. The lunch menu is short – 5 starters and 5 mains – £9.50 for 2 courses. As you would expect for this price, the food is quite simple but lots of the options sounded good. 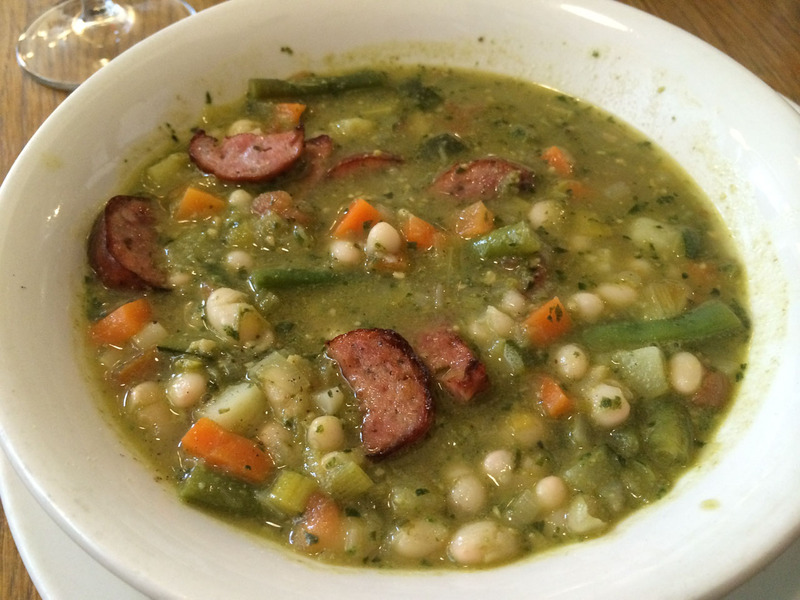 I decided to start with the Pistou soup with Toulouse sausage. This was great – very flavoursome with basil, lots of vegetables and bits of sausage. My wife and daughter both had the smoked salmon – which they enjoyed. This is not something I ever order as it’s something you can buy good smoked salmon in supermarkets but it seemed a nice enough example of the dish. 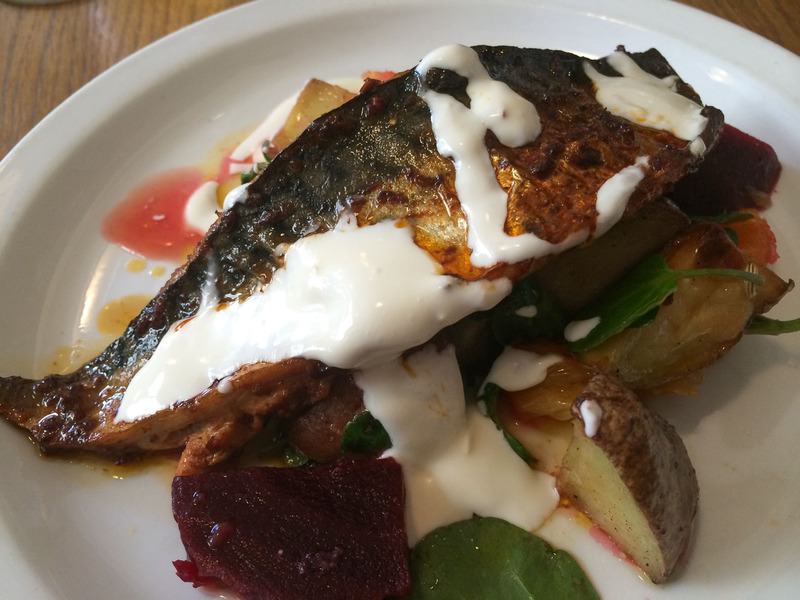 My main course was harissa spiced mackerel with potatoes and a beetroot, radish and orange salsa. I love mackerel and but haven’t had it with harissa before. It really worked! A super main course although I’m not convinced that the orange really added much to it. My daughter also had mackerel and my wife had meatballs from the daily specials menu. I had a taste of them and they were equally good. So, the Three Birds has redeemed itself in my eyes. Portions were not large but just right for lunch. We had a glass of house red (Montepulciano) and white (Sauvignon Blanc) which was very palatable. Good atmosphere and service. We finished within 90 minutes but we didn’t feel hurried at all. We will be back for dinner.